Amazon has developed paid apprenticeship programmes in Operations, Engineering and IT that are designed to offer young people valuable professional experience and essential skills to progress in their careers whilst earning money. The programmes are a combination of on-the-job training, mentorship and structured classroom learning. By the end, apprentices are qualified for permanent positions within Amazon and able to embark on a new professional journey. Here are the stories of three apprentices. “After college I worked in the hospitality business for four years, and I was ready for a change. 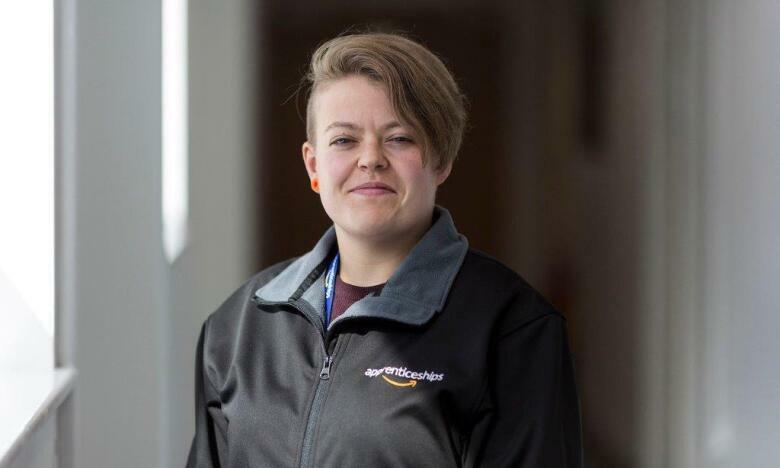 When I discovered Amazon’s apprenticeship scheme I was attracted by the fact that it looked very structured, so even if I didn’t have any previous experience in that field I would be able to learn. And oh, I liked that. 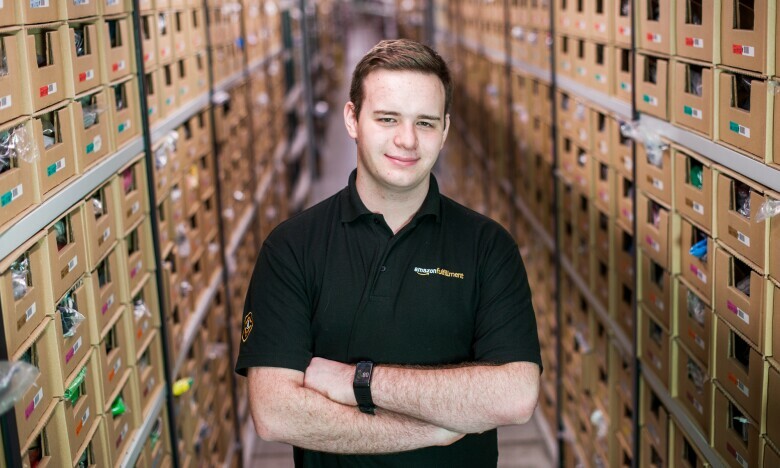 The apprenticeship itself is an in-depth induction to the whole of Amazon operations. It is quite immense. At every step, a mentor helps you learn everything you need to know. Some days you are off work, so you can focus on theory and study for your qualifications, whereas in the fulfilment centre they show you the hands-on side of things. It is all interlinked. The technology behind it all is amazing: the fulfilment centre in Manchester is a robotics site, so, for instance, you don’t go to the shelves. Literally, the shelves come to you! The best thing about the scheme is the range of opportunities it opens up. What we are learning today will enable us to be the next wave of managers. In our second year, for instance, we will keep developing our leadership, management and communication skills. “I first heard about the scheme in college. A maintenance manager from the local Amazon fulfilment centre came to give us a presentation. That piqued my interest and I decided to apply. After taking preliminary online tests in maths, English and mechanical reasoning, we were invited to an assessment day at the fulfilment centre where we had one last mechanical test – that was challenging! When I got a phone call from the maintenance manager himself, informing me that I was accepted, I couldn’t believe it. It was brilliant. The scheme is intense, and what I appreciate the most is the job prospects it offers: Amazon is a big organisation, so there is plenty of room for development within. During our first year, we were sent to a technical training centre in Coventry to work on our practical qualifications. For me it was the first long period of time away from home! Now, in our second year, we spend a lot of time learning on the job. Sometimes we do proactive maintenance, which means we maintain a certain area of the plant according to a schedule, and sometimes it is reactive, for example if a machine stops. I normally work four days per week, and then I get time off to study for my certificate in electrical engineering. This is not your typical engineering apprenticeship: it’s a lot faster. Reactive maintenance can be high pressure. It’s the real thing. You are never alone, but you can have a go at fixing issues on your own. It gives you confidence, and at the same time you know there is someone behind you if you need help. And this is probably the most important skill you need to succeed: the ability to work in a team. 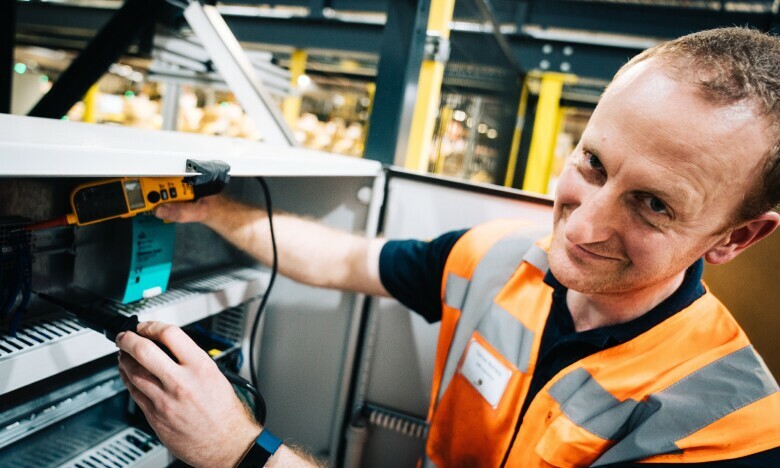 "Four years ago, my wife and I joined Amazon: we started as packers at the Dunfermline site, and then I became a temporary engineer in the facilities department. My manager knew I was keen to develop my career at Amazon, and encouraged me to apply for the apprenticeship scheme. So now, at 36, I am doing my apprenticeship! I have to admit, now I can understand why I needed the practice. Before, I was not competent to do this kind of job in a safe way. We spent our first year at a technical training centre in East Kilbride, where we worked on the first of our certifications. At that time, my wife was pregnant with our second child, and I traveled every weekend to Glasgow to see her. It was an intense year, but at the end I was chosen as the best first-year apprentice out of over 100 people. The hard work paid off. In our second year, we work alongside skilled professional engineers to maintain all sorts of machine parts in the fulfilment centre: motors, conveyors, pulleys. We still get time off to study and work on certifications, which means I can bring all that practical knowledge back to college and get more out of my education.